Travis Gajewski is passionate about cutting trees. It's not just a business to him, it's a favorite activity, and one he continues to master more and more with every passing year. After the storm blew through, did your trees suffer damage? 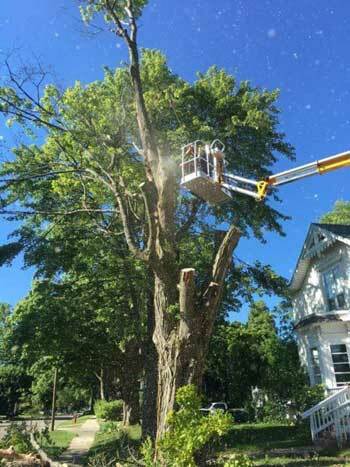 Travis Gajewski and his crew can safely remove the entire tree or just the damaged wood. Do you have a diseased tree, or a tree which is dying and poses a potential hazard to your property or safety? Travis and his team of dedicated workers will come to your rescue and cut down the tree before it causes any harm. Are you planning to build a house and need your lot cleared for construction? Or perhaps you simply want to remove some trees to create a garden area, or you just want more sunshine. 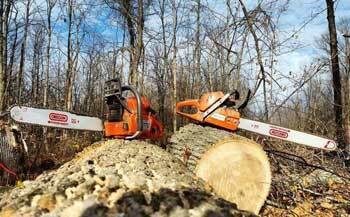 Whether you want dozens of trees removed, or just one tree, call Gajewski's Firewood & Logs for prompt, affordable service. If you have acreage which you want thinned out, whether it be to harvest wood for lumber, or to remove trees for the health of the forest, contact Travis Gajewski for an estimate. He will walk your property with you to help determine which trees should be selected for cutting and which trees should remain. Gajewski's Firewood & Logs LLC always has an ample supply of firewood, ready to deliver to your location at a competitive price. All firewood has been seasoned for six months to two years, to assure a low moisture content for a cleaner burning fire with less smoke. 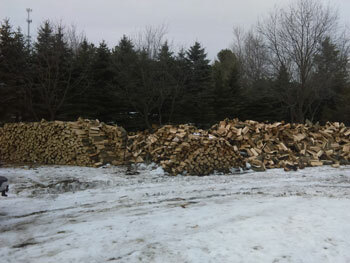 A full cord of cut wood measures 128 cubic feet, or a stack roughly 4 feet high x 8 feet long x 4 feet deep. Some homeowners can burn through five or ten cords of wood in a season...perhaps even more. You can count on Gajewski's Firewood & Logs to keep you well supplied with quality wood, so you never need to worry about running out. Gajewski's Firewood & Logs LLC is fully insured and ready to help you! 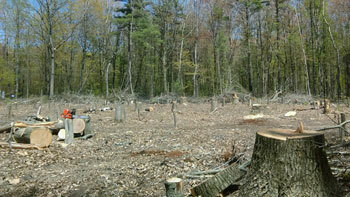 Call 24/7 any of the 365 days in the year for extreme and hazardous tree removal clean up. You can count on their crew to get the job done! Offering senior and veteran discounts. Serving West Michigan counties including Mason, Manistee, Oceana, Benzie, Lake, Wexford, and other locations nearby. Communities in the tree removal service area include Ludington, Manistee, Scottville, Bear Lake, Hart, Shelby, Pentwater, Walkerville, Walhalla, Cadillac, Honor, Benzonia, Frankfort, Thompsonville, Mesick, and more. Call (231) 398-7897 for tree removal or tree trimming services.